I suppose you could call this ambient music, but it never really arrives in any one place, which is cool. This is pop music at its absolute finest. 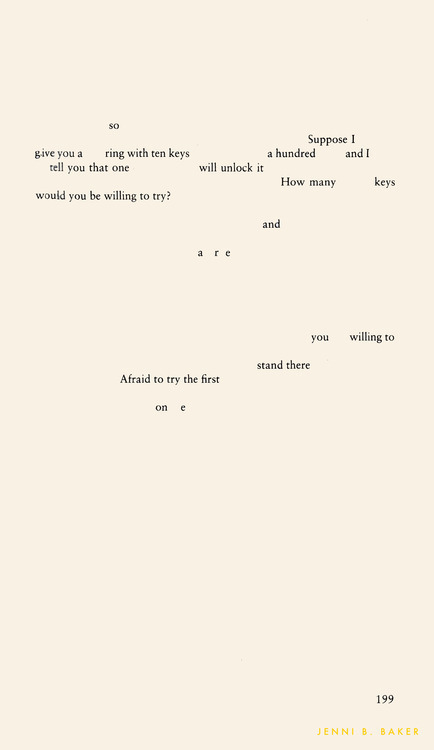 It’s a celebration of life using words so simple they actually escape their own cliché. It’s possible for three-part harmonies to meld so well they actually hurt a person’s insides. Beautifully broken and dark and edgy and full of yearning, just like the complexities of the heartbreak it describes. Pure atmosphere. Each sound is singular but they come together to create one room, and it’s a really compelling place to be. 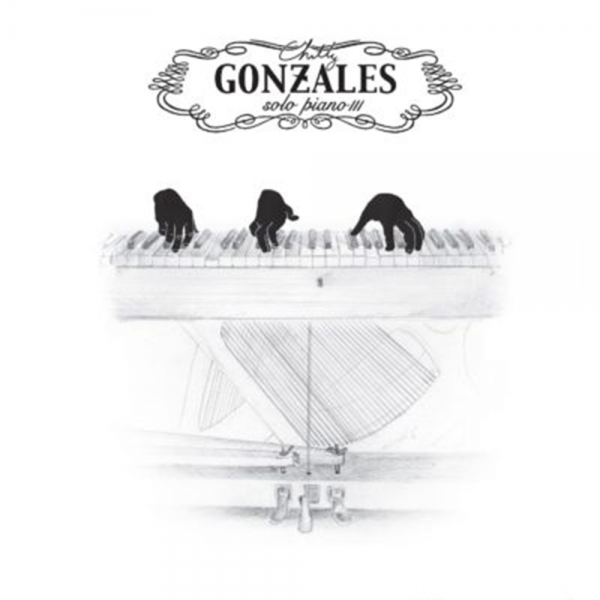 It often sounds like Chilly Gonzales has three hands, but, as usual, his virtuosity never tramples on melody. Funk meets electronica on a highly danceable album that’s just the right amount of confusing. This album is layered and multi-instrumental—it’s a party that never lingers for too long in one vibe. This is hip-hop based in musicianship, rap based in poetry, music based in human feeling. 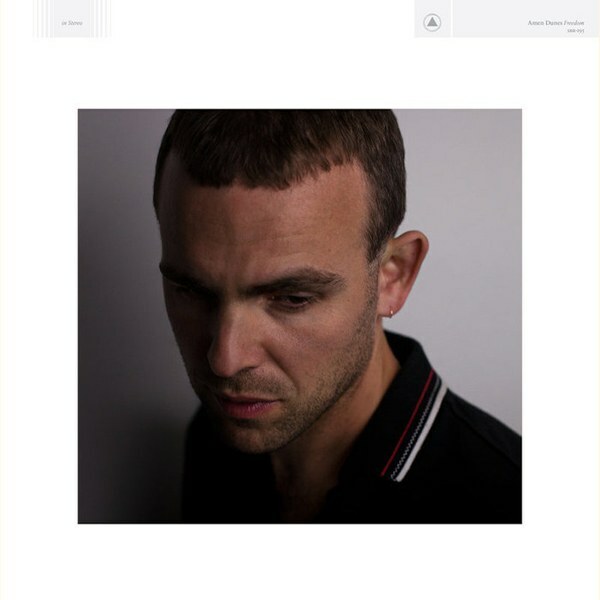 Amen Dunes displays intellect and heart and musical mastery in such perfectly unadorned ways that you just have to keep listening over and over. Wanna listen?… Here you go! … And Sam Harris is kinda annoying. But this is a fascinating podcast conversation with the author of Sapiens and Homo Deus, who’s brain (and heart) is a force of nature. Starts around 0:12:00. Enjoy. May the manner in which I live do justice to the beauty of the sky. May my eyes gaze upon the world in a way that is precise and full of permission. May the quality of my seeing make things and people feel proud to be seen. May I seek and grant forgiveness, may I know mercy and grace. May I not rush through hard things, may I not fester in easy things. May I act in ways that help other people sleep at night. May I hold and be held by life just like a baby’s little hand wraps around a finger. May I trust others without need for protection, may I be true to others without fear of reproach. May the veracity of my words open cracks in everything fixed and rigid, may those cracks bring light and movement into that which is closed. 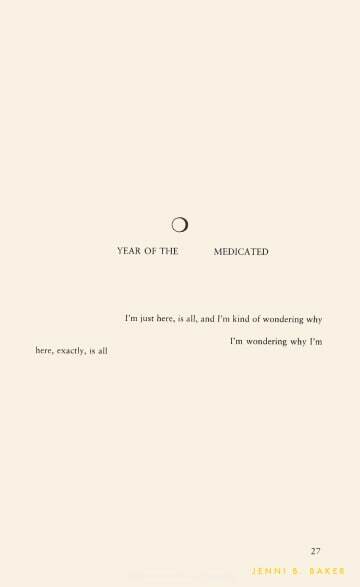 May my creativity both assuage and celebrate the loneliness of being. 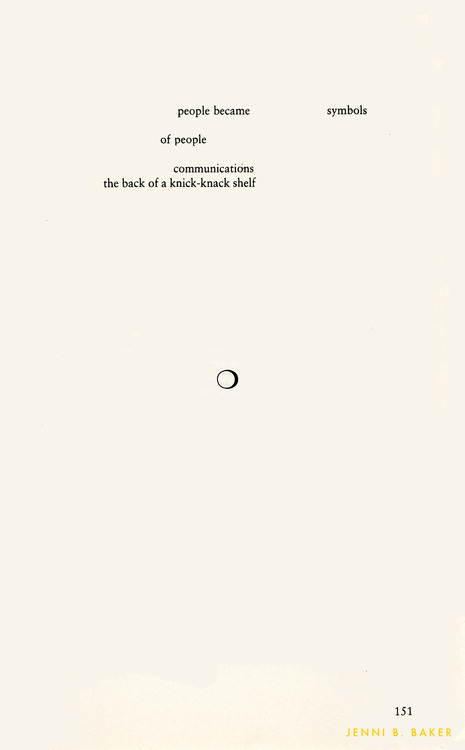 May I hand myself over to the intimacy of metaphor. May I remember that the fulfillment of my desire could never bring with it a feeling of permanence, may I remember that, with desire, I must also hold close the beautiful confusion that desire tries to explain away. May my growth be marked by the same force that makes a tree grow leaves. May I give up on control, may I rage against complacency. May I stay awake. May the boundary of me be soft and diffuse. May I take each breath in reverence, knowing that the air I breathe is what ties me to you. May I put myself second, and in so doing, may I live in love. 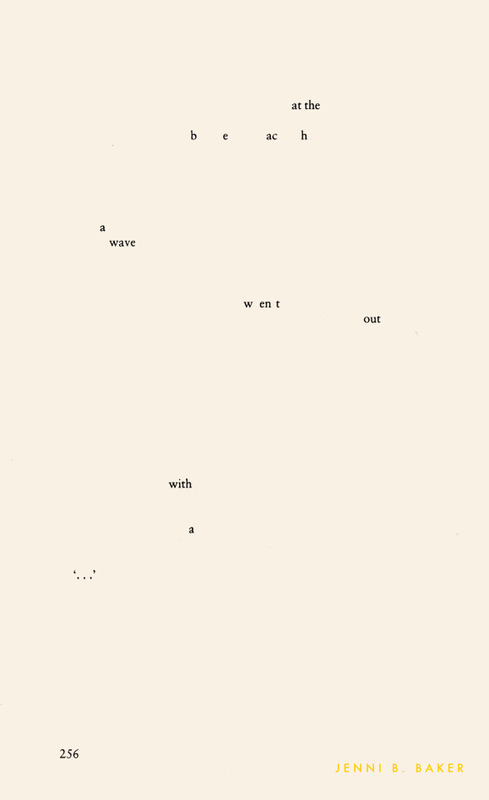 Artist Jenni Baker creates poems by erasing words from pages of David Foster Wallace's masterpiece Infinite Jest, and I just love them so so so much.